The Keyhole: Peeking at 21st Century Brands: Smartphones vs. Tablets: Which Is Best? 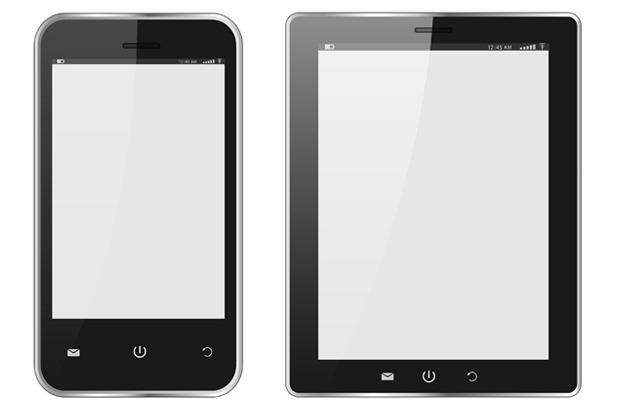 Smartphones vs. Tablets: Which Is Best? If you’re reading this commentary on a tablet, you’re apparently in a group that’s actually growing smaller! The worldwide tablet market declined this year about 8% YOY. Why do you think that might at be? You can read everything you want comfortably on a 6-inch smartphone screen. You get better battery life with a smartphone. More apps. Or at the very least, apps show up first for smartphones then, maybe, for tablets. Right now most web pages are mainly optimized for desktop and smartphone. Tablets not so much! Even with the decline in shipments Apple and Samsung still account for nearly 42% of the market. And even with high degrees of innovation missing in this year’s offerings, but with competitors producing larger tablets at smaller prices and a new assortment of 2-in-1 offerings, this is still a rivalry worth watching. Five years ago our predictive engagement metrics offered up the concept of a “phablet,” something halfway between a phone and a tablet. OK, not the greatest name in the world, but a damn good concept whose time (size, apps, and cameras) have apparently come! Is Your Brand A Loyalty Leader?